Space Force, Space Corps, Space Guard, Space Command: Whatever form it might take, do we really need it? Does the United States need a Space Force? How about a Space Corps? Maybe a Space Guard? 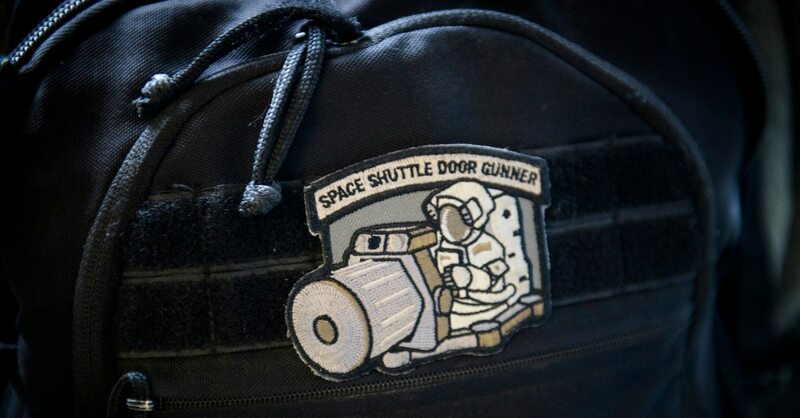 President Donald Trump recently repeated his call for a Space Force, a separate and new military branch, albeit one that would be much smaller in size than the currently dominant forces such as the Army, Navy, Air Force and Marine Corps. In this area, Congress has the power on whether to create such a force. As of the most recent version of the National Defense Authorization Act, the legislative body has tasked the Pentagon with creating a “subordinate unified command” to cover space that falls under the U.S. Strategic Command. But a Pentagon report, due out next month, will provide a closer look at the feasibility, and perhaps need, or lack thereof, to create a separate Space Force. A Brookings Institute event held this week featured four experts in space policy, asking them the pros and cons of creating a new military branch focused on space. Three out of four roundly dismissed the idea, while simultaneously stating that there needs to be a focus on space for training, planning, policy and a host of other areas, just not with a new, competing military service. As lawmakers debate a proposal to launch a new military branch dedicated to space, House Armed Services Committee Chairman Mac Thornberry said the time for Congress to act is now. Former Secretary of the Air Force Deborah Lee James said she doesn’t see a need for a new military service, and wondered what problem the president is trying to solve by creating such a force. Creating a Space Force could create problems of its own, including a lack of money devoted to space, a slow space equipment acquisition pace, a lack of focus on the people who are experts in space operations, and the need for a warfighting focus with space. All four of those problems would be better served in other ways, she said. Money focused on space increased by $5.5 billion over her three-year tenure as Air Force secretary and another $7 billion was added atop that increase in last year’s budget, James said. Speeding up acquisitions is a need across the services and programs. Creating a new service would only add to the bureaucracy and cause more competition for resources and manpower, she said. And the Defense Officer Personnel Management Act is a better option for both space-focused personnel and other areas, she said. Simply put, the former secretary noted that service branches don’t handle warfighting. They take care of the manning, training and equipping of the force for the individual combatant commands to then conduct warfighting in their respective regions. And that is exactly what Congress is about to do if it passes the NDAA in its current form. The creation of a subordinate unified command for space under STRATCOM aims to solve that problem. That, of course, doesn’t mean that a potential Space Force or something similar isn’t in the offing. The so-called Shanahan Report, being created under the authority of Deputy Defense Secretary Patrick Shanahan, is due next month. Panel members at Brookings noted that the report was nearly finished prior to Trump’s mid-July comments that he wanted a Space Force, which caused a major rewrite to be conducted. Even before the report and its details are made public, there is already support in Congress, specifically from Reps. Jim Cooper, D-Tenn., and Mike Rogers, R-Ala., who originally introduced legislation last year to create the Space Force. Rogers is expected to introduce Space Force legislation into the fiscal year 2020 budget early next year, meaning true debate will happen next spring. Though he’s skeptical that a Space Force is the answer, Brian Weeden, director of program planning for the Secure World Foundation, a nonprofit focused on space sustainability, said the time is ripe for a more comprehensive focus on space, due to competing interests that are crowding into the arena. Weeden noted the rise of non-traditional states and commercial entities now vying for a place in space, alongside the palpable threats from near-peer adversaries such as China and Russia, using both anti-satellite technology in space and terrestrially. That host of competing concerns would only be further muddled, and U.S. response slowed by the creation of a whole new military branch and all the bureaucratic minutia that such an undertaking requires, he said. Frank Rose, a Brookings senior fellow on foreign policy, worked on space security issues in former President Barack Obama’s administration. He also sees a Space Force as a needless waste of time. But, more importantly, Rose said that strictly military focus of such a move misses the larger point that diplomacy and other factors, not just military, will have to play a part in how a host of nations uses space, including security. The final panelist, Steve Jacques, managing partner of Velos, LLC, a consulting and engineering services firm with a space focus, and a retired Air Force officer, was the lone supporter of a Space Force. “A focal point is needed,” Jacques said. Citing what he termed past failures to have a cohesive approach to space security, Jacques called for a new, focused, empowered and properly resourced space corps, force or agency, within the national security strategy structure. The form of the potential force became the subject of commentary as well. By all measures, a new Space Force would fall at or less than 40,000 personnel, making it tied with the Coast Guard for size and competing with much larger forces such as the Army or Air Force for resources and attention. All agreed that would present hurdles for the fledgling entity to gain a voice in a crowded military landscape. It could also draw it away from the integration and jointness of multi-service operations that has evolved over time, some said. Which diverges from how space has been used as a domain of warfare to date. “Space capabilities provide capabilities, services, data used for military operations on Earth,” Weeden said.